One of the coolest things my mom ever did for me growing up was to buy a bagful of hand-knitted Barbie doll clothes. They have held up much longer than the clothes that the Barbies came with! 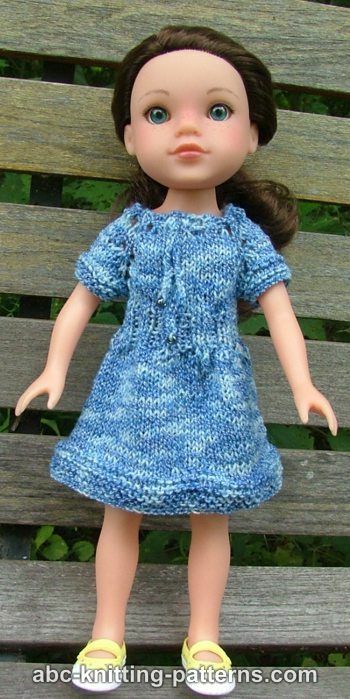 While not a Barbie pattern, here is a free pattern from ABC Knitting for a drawstring raglan summer doll’s dress that will fit a doll that is 14″ tall.